Columnist Jane Ann Morrison shares her 88-year-old father’s story as a longtime cancer survivor to remind people that a cancer diagnosis doesn’t necessarily mean a hopeless end. My dad’s story is one of hope and victory. I share it whenever appropriate because people need to know that a cancer diagnosis doesn’t mean a hopeless end. 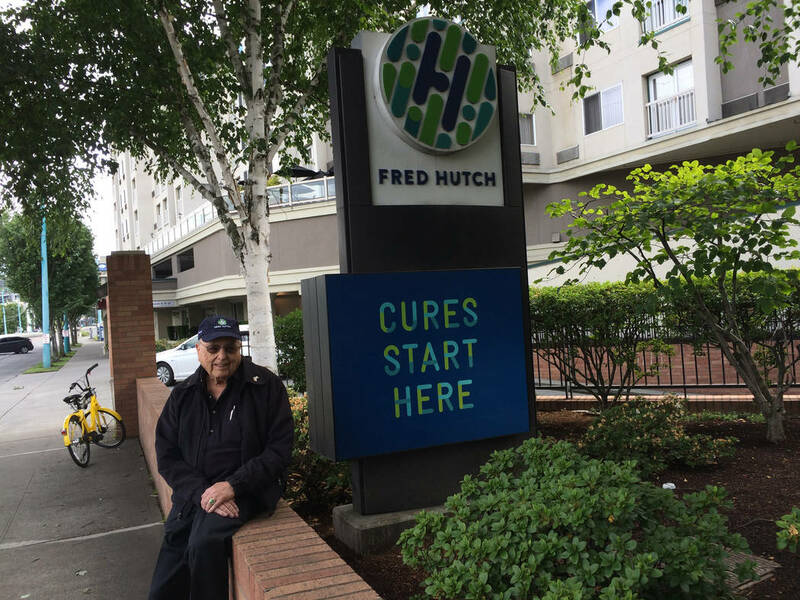 The Fred Hutchinson Cancer Research Center in Seattle agrees; officials there asked him to help spread the word by becoming a Hutch Hero, a longtime survivor. In Jim Morrison’s case, his bone marrow transplant at the center in 1993 has given my dad 25 additional years (and I predict even more). The 88-year-old has had time to keep on living a joyful and vigorous life and to be there when my mother, LaVerne, had medical issues for five years until her death in 2012. They were married for 57 years and moved to Las Vegas in 1998 after living mostly in Seattle during my dad’s career with Boeing. Here’s the best part. 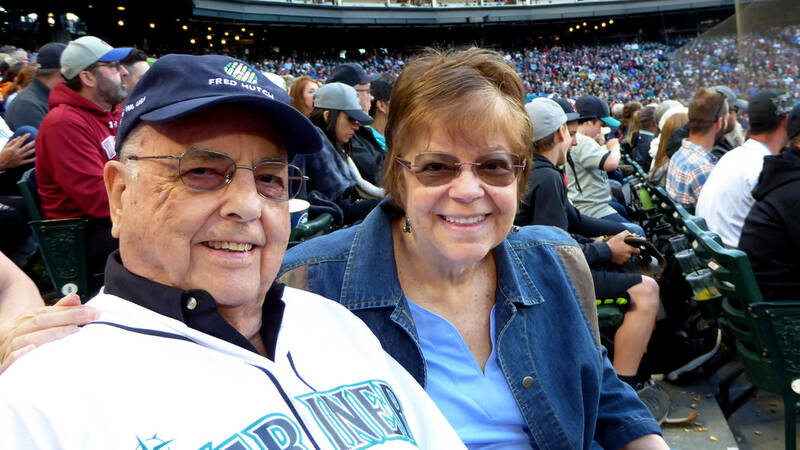 The Seattle Mariners partner with the Hutch, as it is affectionately known, to showcase Hutch Heroes during Thursday home games. “I’ll only do it if I don’t have to run the bases or catch a fly ball,” my father said. He was assured that waving his cap to the crowd on June 14, when the Mariners played the Boston Red Sox, would be the extent of his athleticism that night. The Mariners lost 2-1, but it was an outstanding game (my first major league game). We provided photos and information, and the Mariners wrote the script. The first picture showed him during his days with the U.S. Naval Academy’s Class of 1952, another showed him with his wife when he was bald from chemo treatments, another on the Hutch campus and the final one showed him wearing a sweatshirt proclaiming him a “Tough Old Bird.” Guess who bought that for him. The announcer told his story as the photos appeared on the screen after the fourth inning. My father walked to the edge of the field in a Mariners shirt bearing his name and the number 93 in honor of his transplant date and waved his hat. 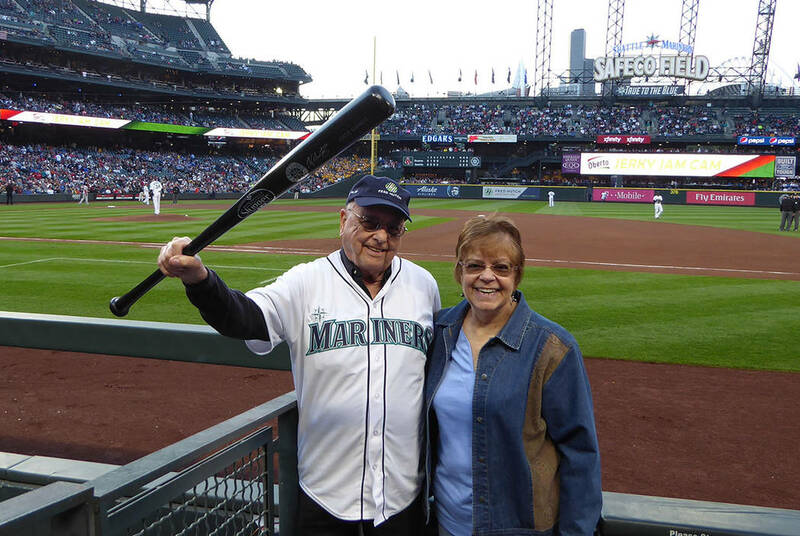 The retired Boeing engineer was presented with an autographed Mariners bat. The standing ovation my father received touched my heart. I didn’t expect it. Afterward, people thanked him for his service as he moved around Safeco Field, told him about their own family members who had battled cancer and said they were happy he had beaten it. 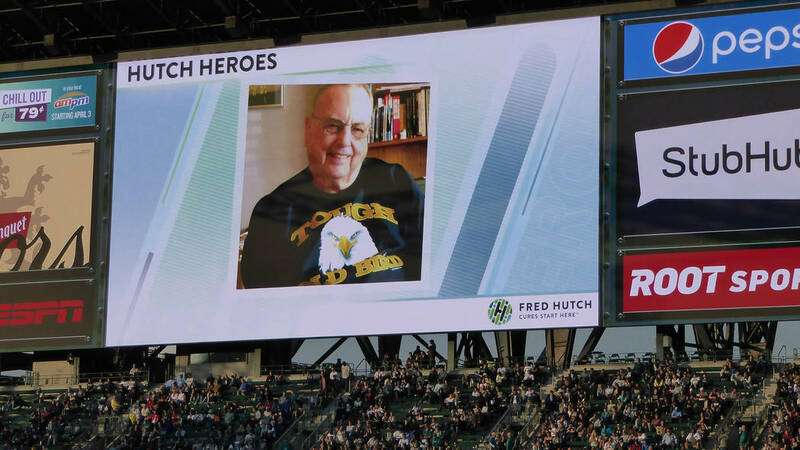 The Mariners came up with the Hutch Heroes concept to honor Fred Hutchinson, a major league pitcher and manager who died of cancer in 1964 at age 45. Even before his brother’s death, Dr. William Hutchinson focused on finding a cure, starting a research center in 1956 and opening the Hutch in 1975. For the past five years, the Hutch has been one of six centers with higher-than-average survival rates for blood stem cell transplants for diseases including leukemia, lymphoma, multiple myeloma, severe aplastic anemia and other blood disorders. “Some leukemias that once were a death sentence now have cure rates of up to 90 percent,” according to the Hutch website. The Hutch saved my dad’s life. I’ll always be grateful to their doctors and researchers and all the others who work together to save lives. My dad and I will always support the Hutch and hopefully make a difference in the lives of others. Jane Ann Morrison’s column runs Sundays in the Nevada section. Contact her at jane@reviewjournal.com or 702-383-0275. Follow @janeannmorrison on Twitter.